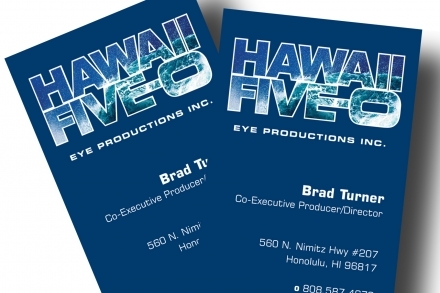 We were fortunate to print the business cards for the new TV series Hawaii Five-0. Printed opaque white on blue paper then a second run of four color process. Thanks to Todd Petelle for thinking of us.